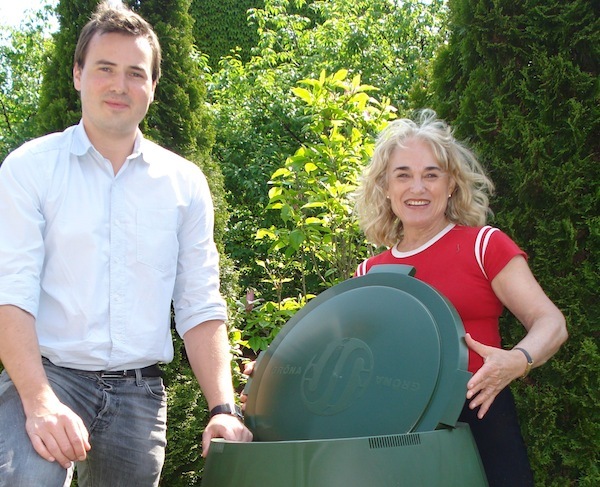 Crawley Borough Council contacted Anthea to investigate the possibility to assist Virgin Holidays to reduce office waste to landfill. Visiting the building, Anthea met staff, conducted site visits and did an audit to ascertain what was in the waste stream. She then introduced the possibility of increasing recycling which was already being done on site, to include shredded documents, flowers, tea bags, coffee grounds and food waste from the kitchens used to regenerate food bought in or brought in from home by staff who work in shifts. 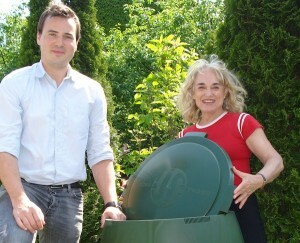 The approach Anthea had in mind meant staff would put their waste into a caddy in the communal kitchen, which would be emptied into a Green Johanna hot air composter and a Green Cone composter. To ensure sustainability, Anthea’s approach meant that the staff, including cleaners, take ownership of the project. This would have the added benefit that the ethos of the project would follow the staff home and into their communities, which would offer a significant added legacy. The mission was not only to reduce the weight and smell of the black bags in the rubbish room on site, but to recycle and generate compost for the office garden. Educational sessions with Jon Winfield, Sustainability Manager, key staff and the cleaner Karen in their division, included mentoring on weighing the caddy before emptying each time and regular assessment on the status by Anthea. Food was weighed before it was composted. ARA worked with the University of Brighton to collate the data and assess the impact of the project .On assessment in December 2010, food weighed over the 3xmonth period on one floor with a regeneration kitchen only, showed that 80 kg of food waste had been diverted from landfill by Virgin Holidays staff. A decision has been made to roll this project out over the entire building comprising 3 full kitchens and 2 additional regeneration kitchens serving almost 700 staff members. The tonnage potential diverted from landfill over a 12xmonth period once the planned additional floors and staff are included early this year,is significant and has enthused the staff to roll the project out to all floors. The staff of Virgin Holidays can be proud of their achievement and are clearly walking the “environment impact and footprint” talking in the tourism industry! Current cost of waste collection and disposal for household waste is around £100 per tonne. (National figure – Source: University of Brighton WERG Department).